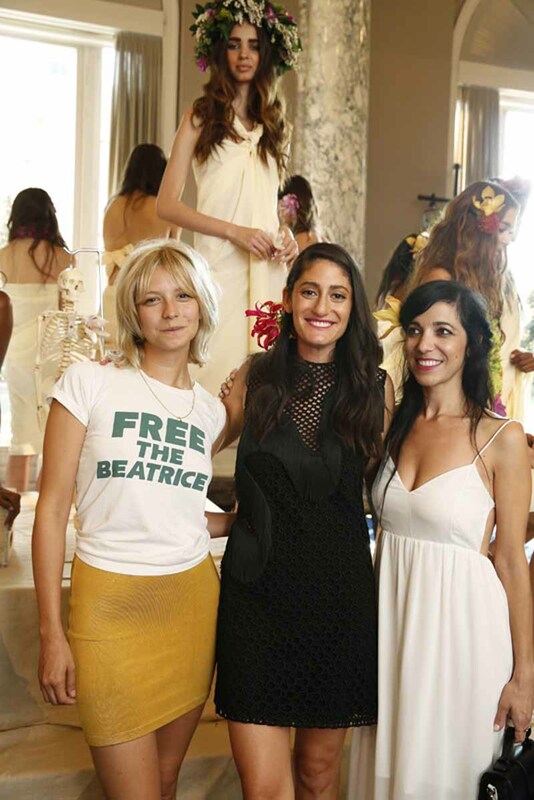 NEW YORK, Sep 5, 2014/ — Collaborating once again for Spring/Summer 2015 with philanthropist, pastry chef, trend-setter, and experimental filmmaker Arden Wohl, Cri de Coeur, a luxury accessories brand established in 2008 by Gina Ferraraccio and Julie Dicterow unveiled the Arden Wohl x Cri de Coeur SS15 collection last Thursday, September 4th during New York Fashion Week. Inspired by the work of French post- impressionist artist Paul Gauguin, an important figure in the symbolist art movement of the early 1905, the Arden Wohl x Cri de Coeur collection referenced the creative period Gauguin spent in Tahiti for Spring/Summer 2015. Bright island floral patterns, jute espadrilles and woven natural textiles juxtapose post-modern details, such as polished wood, lucite and patent vegan leather. This hard/soft balance reflects the brand’s continued play on symbolist mysticism that also often accompanies Gauguin’s paintings in an elusive, oblique way. Named from the French expression that translates literally to “cry from the heart,” Cri de Coeur symbolizes Gina Ferraraccio and Julie Dicterow heartfelt desire to change the face of the fashion footwear and accessory markets by providing stylish, contemporary products that are ethically produced from rawest to high-street. In the Spring 2014 season, Cri de Coeur began its collaborative partnership with philanthropist, pastry chef, trend-setter, and experimental filmmaker Arden Wohl, with the idea that art should represent absolute truths that can only be described indirectly. AW+CDC believe this undeniable truth is ethical consumerism, and attracting a new ideal not by persuasion, but through artistic expression. Creating products that are in favor of spirituality, imagination and dreams, as did the symbolist painter Gustav Klimt, Arden Wohl x Cri de Coeur brings recognition to a new way of living that will permeate the fashion market.